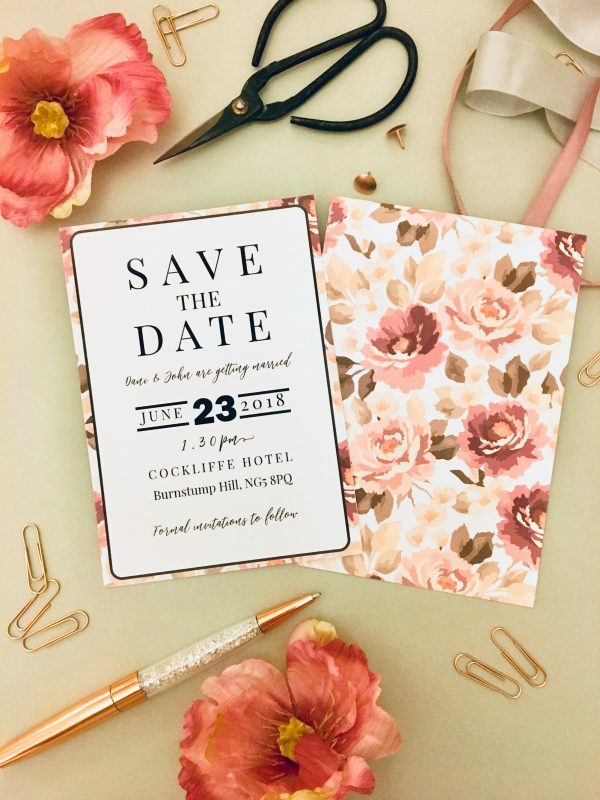 This classic save the date is simple, yet effective and completely on trend with it’s floral pattern. Printed on 300gsm off-white textured card, A6 in size (105mm x 148mm) and comes with a C6 off-white textured envelope (also looks great with a Kraft envelope). Envelope liners can be added for an extra cost. If you would like a Kraft envelope then please let me know on your order form.